Think you know Harry Potter? Well, here is your chance to prove it and WIN you or your family a $100 Fun Card!! 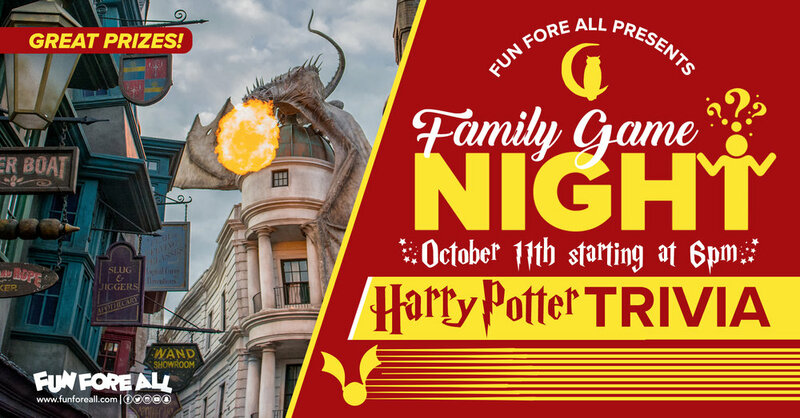 Teams can be made of 1 to 4 players - so, grab your friends and family and head down to Fun Fore All for the most magically delightful family-friendly trivia in the Pittsburgh area, and best of all, it's FREE to play!